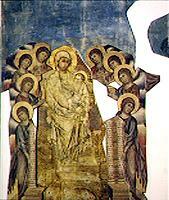 To prepare the Shroud for the next millennium became the task of this generation. By conservation-restoration it is generally meant to put back into sound order a product of human activity. These can be industrial articles which merely have to be restored to working order. 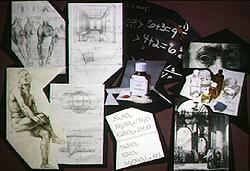 or art works which have no functional purpose, only aesthetical. While the product of art fundamentally differs from any other manmade object with its aesthetic merit and its influence on the future, it still visibly manifests that it can only be a human product. 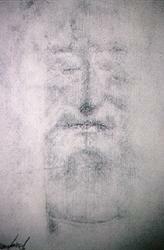 Is the Turin Shroud in any way a human product? Because if it is not, do we really know what conservation principles could be safely applied to it? An uncut marble from the quarry has a chemical composition, that can be tested and analyzed by scientific instruments. A statue made from the marble has exactly the same chemical composition, but the marble underwent a radical transformation. 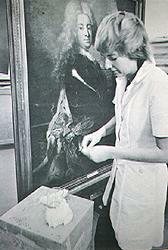 The final authority to determine if something is or is not a painting, belongs to the professional arts. Numerous people from around the world, best represented by noted microanalyst, Dr. Walter McCrone, believe that a medieval artist had the genius to have painted the Shroud of Turin. 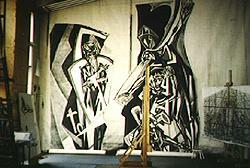 Yet McCrone made the statement, "The Shroud is not a question for art experts." What airtight logic! Is this a painting? No. It is a sponge under the microscope. This is not a painting either. It is the tip of a human nose. Now, this is truly a painting. Is it beautiful? Not particularly. Paint particles are not the painting. Under lesser magnification this is obviously a part of a painting showing the brush technique of Rembrandt. Suddenly the pigment particles become the painting, the unique territory of the professional arts. 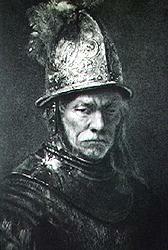 The previous illustration showed a detail of this helmet. A work of art presents style, technique, a historic milieu and an influence on the future. If all these together do not exist, the object of our discussion is not art. 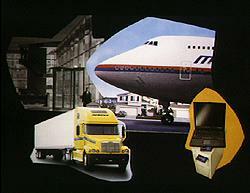 like this 280 sq. 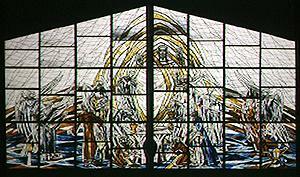 meter stained glass I installed recently. The professional artist has to be trained in all these disciplines. 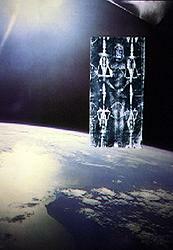 I can assure everyone, the Turin Shroud is not a painting or artifact made by us. I gave the many reasons for that in earlier papers. Today, let us look at some of the mistakes the proponents of the Shroud's painting theory are making. It is important, because if the Shroud would be accepted as a painting, it would have to be preserved and eventually restored as a painting, and that would be the end of it. 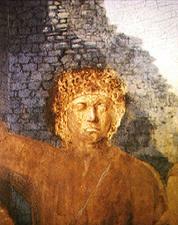 The claim was made that the Shroud was painted with greatly diluted glue tempera. Glue erratically reacts to atmospheric changes. Therefore, it is used only with chemical stabilizers. If none found on the Shroud sticky tapes, it is not a glue paint medium. In very diluted form the medium does not permanently hold the paint particles. Also, this medium remains absolutely watersoluable. 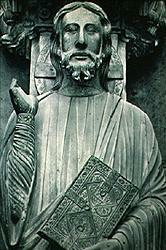 The Shroud could not have been boiled, hosed down or handled and still retain the image. In case of highly diluted medium, one does not have to dislodge paint particles. They are loosely attached. Because of the unpleasant qualities of this medium, this technique seldom was used for fine art, except on Egyptian wall paintings inside of protected tombs in a very dry climate. 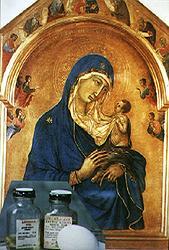 Dr. McCrone claims it was glue tempera which was the technique used on medieval paintings. This is highly incorrect. 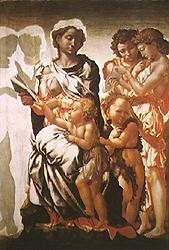 In the Middle Ages glue tempera was only used on the lesser kodex illustration. This medium cannot be used for realistic representations, as the Shroud's image would be, only for flat, decorative styles in art. 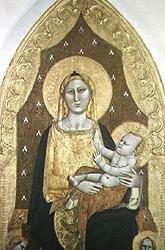 The medium of fine art paintings in the Middle Ages was egg tempera. 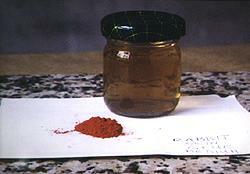 In case of glomerates, the paint mediums surround the paint particles. 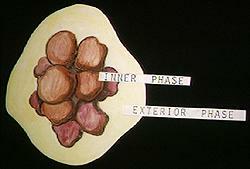 The paint particles, always in the center of the glomerate are called the inner phase, the colloidal binder outside is called the exterior phase. 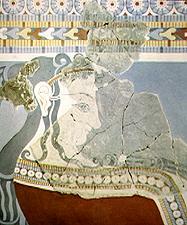 The yellow substance supposedly found by McCrone inside of glomerates simply could not have been the paint medium. Paint media and varnishes yellow and darken with age and one can see its effect on the Shroud, said our microscopist. This is wrong. The aqueous colloidal mediums used in the Middle Ages maintain their airy, light colors even in decay. 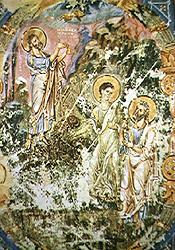 Therefore, whatever is that yellowed on the Shroud cannot be a medieval paint medium. Only the oil paint mediums and some of the varnishes yellow. Old paint cannot be compared with modern paint. The refrective indices and the structure of old paint radically and erratically change. Some opaque paints become transparent and the underlying tracing lines show through. 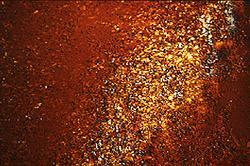 Dr. McCrone stated, the fire of 1532 would not have changed the color of vermilion, because the Shroud was folded. The change of color on both, vermilion and red ochre, would have taken place to different degrees from layer to layer, and we would see a checkerboard effect on the Shroud. Our microscopist takes his knowledge of medieval paint techniques from old books, such as Cennino Cennini and Eastlake. There is great professional doubt about the identity of some of the pigments, materials and methods described in old texts. 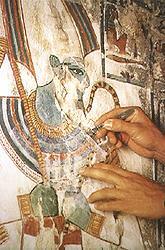 Some of the pigments are either not recognizable or obsolete and the methods are no longer in use and forgotten. The word sinopia or sinoper used by McCrone for instance, is not in use today and Venetian red is just an arbitrary term used for the unknown sinoper. Eastland, writing in 1847, due to similarly unsure identification of old texts, describes old techniques of art, examples for which do not exist. 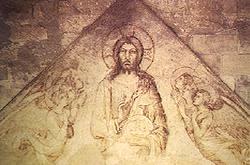 As a convincing proof that Shroud-like monochrome paintings with red ochre were commonplace in the 14th century, Dr. McCrone shows in his book this monochrome fresco at the Palace of the Popes in Avignon, France. or even on canvas first in monochrome colors, red ochre or verdaccio, light green. 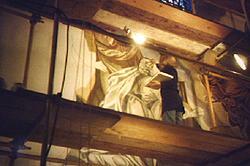 In the Middle Ages the muralists did not prepare a full size cartoon as we do today. They plastered the whole wall to be painted. Then made a full scale sketch of the composition in monochrome, red or green earth. When that dried, the wall was wetted and replastered, a piece of it a day. The same design underneath was copied in full color on the top coat. 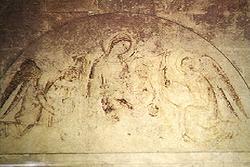 If for any reason the work was terminated before the second stage in color, or the two coats of plaster separated due to detachment, the preliminary, monochrome step remained exposed on the wall. 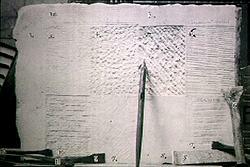 It has nothing to do with the Turin Shroud. 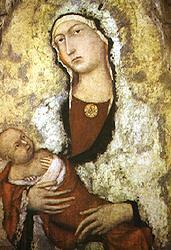 Agnolo Gaddi and Simone Martini. I don't think they are candidates for painting the Shroud. and the Craig and Bresee image needs no comment from me. 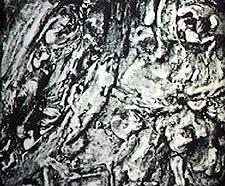 Dirt on paintings is anything which exists in addition to the surface established by the original artist. Dirt can be removed by cotton balls slightly dampened in water or chemical solutions. 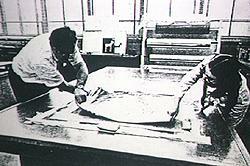 The Turin Shroud should not be cleaned, because the debris on its surface represents important historical information. Some paintings suffer the detachment of the paint particles or peeling of the paint film because of natural aging of the adhesive substances in the paint mediums. 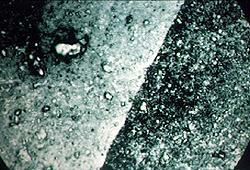 The adhesives of the ground decompose due to atmospheric humidity, differences in thermal expansion, rhythmical vibrations or impacts. To correct this, paintings are relined from the back with a new canvas and new adhesive, applied with heat and pressure, which will reattach the loose paint or ground. If we would believe, against the laws of nature, that loose paint particles and medium glomerates are responsible for the image on the Shroud, what protects it from a future time when a backing canvas would be attached to it with adhesive penetrating its surface? and the separated paint film is re-installed on a new support. If one would succumb to the belief that paint film is responsible for the image on the Shroud what would protect the Shroud from restoration as a painting in some future age? Would the promoters of the painting theory take the responsibility for the dangers their irresponsible research presents to the Shroud? 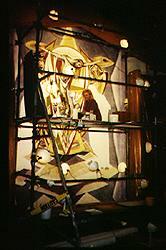 The professional arts strongly state, the Shroud is not a painting or manmade artifact. The Shroud is much much more than what anyone of us could even start to understand and this should caution the conservators of today and of the future. Click on "Is The Shroud of Turin A Painting" or "Alice In Wonderland and the Shroud of Turin" or "Negativity Through the Ages vs The Negative Image on the Shroud" to read other articles written by Isabel Piczek.